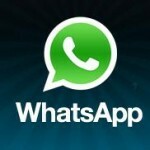 Whatsapp (free for 1 year) – Whatsapp gives you free picture/text messaging worldwide to other users – it’s not without its flaws, but it’s worth downloading as it’s the messaging app most people use. Install this, and you’ll resent ever having paid for SMS. Dropbox – The standard app for syncing between your phone and desktop computer. You’ll need the desktop application too. Epistle – Once set up, this fast, lightweight app uses Dropbox to sync text files between your computer and phone. Great for reminders, lists and note taking. Guardian Lite – Of the many available, this is my preferred app for viewing Guardian articles. This small, superfast app will download the day’s news offline for viewing. 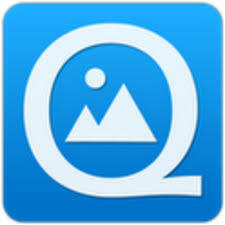 Quickpic – Another small, lightening fast replacement app for browsing your photo/video gallery – a great improvement on the standard stock version. Runkeeper – The best free Android app for anyone who wants to motivate themselves by keeping tabs on their exercise routine. I use it for hiking – it uses GPS to draw a map of my progress, monitor my speed and uploads the results to Facebook. TuneIn Radio – This app gives you streaming access to pretty much all-and-any worldwide radio station you can imagine. Stations are grouped by country or genre and can be easily saved for fast access. CamScanner – Turn any book, presentation board or photo of text into a PDF file. Great for students. TED Mobile – Easy access to all of the TED library of talks. Words with Friends – a cross-platform Scrabble app. PapiWall – a simple but additive platform ball game. Drop – a similar game based on timing and precision. iRunner – a fast-paced running game. Geared – a strategy puzzle game involving cogs. Fruit Slice – another simple but addictive swiping game. Toss it – throw the paper into the waste bin. Unblock Me – another strategic puzzle game. Photoaf – for 3D panorama shots. Retro Camera – vintage/hipster filter. FxCamera – another app offering a range of vintage filters. Keep up with Android news at TechCrunch, Lifehacker, Phandroid and Gizmodo. Root your phone and install a custom ROM – use the Android sub-Reddit and XDA Developers to research your model and the different options. When rooted, you can customise your system and install a wider range of apps, as listed here.